Surender Reddy is a brilliant director - no, make that absolutely brilliant director. Now allow us to tell you why - Reddy knows that today's heroines cannot act like those of the yesteryears. So he writes a female character that keeps all her emotions inside and has a blank face on the outside. And Shruti Hassan, not having much to do, gives her best performance ever. Jokes apart, Race Gurram is your typical summer entertainer. It has a star with a good-looking girl, a badass villain who will kill people with no hesitation, an awesome loving family that can always be targeted to corner the hero, well-shot songs which pop in at random timings, a couple of heavy action scenes, loads of comedy, and all this topped up by a dollop of Brahmanandam. And it turns out that the dollop is the tastiest part of the dish. But more on that later. Race Gurram is about two brothers - Ram (played by Shyam - out comes the poet in us) and Lucky (Allu Arjun). Their mother prays that the two behave like Ram and Lakshman, but reality is that the two don't see eye to eye and can't stand each other. Ram is a sincere and upright police officer while Lucky is a happy-go-lucky sort. One of their usual quarrels spirals out of control and leads to Lucky stealing Ram's police vehicle. This sets in motion a chain of events involving a rowdy-turned-minister Shiva Reddy (Ravi Kishen). How these events result in an all-out war between Shiva Reddy and Lucky forms the rest of the movie. This could also be rephrased as, "How these events are twisted beyond all realms of logic to ensure that Brahmanandam gets his few minutes to make us all laugh out loud forms the rest of the movie". There is a dialogue in Dookudu where Brahmanandam says "Vaadukunna vaadiki vaddukunnantha". This is absolutely true for Race Gurram. Surender Reddy plays a smart card by filling up every frame with ample entertainment. He uses Allu Arjun's energy and comic timing, Shruti Hassan's dancing skills, Prakash Raj's emoting chutzpah, Manoj Paramahamsa's cinematography gifts and, above all, Brahmanandam's comic genius, to churn out a safe entertainer that the audience is likely to lap up like crazy. The one place he goes terribly wrong is in the placement of the songs. The numbers are all shot brilliantly and showcase some amazing dancing by Allu Arjun and Shruti Hassan, but are so terribly slotted that you will end up groaning every time a song pops up on screen. The other groan-inducing thing about the movie is its length - how one wishes Telugu directors would realise that a 163-minute movie, no matter how entertaining, can get onto your nerves. This Race Gurram runs all over the place, but in the end, crosses the finishing line before all other horses. There are just a couple of fights in the movie meaning the violence is really toned down. You can safely bet your money on this one this summer. Brahmi as kill bill pandey is awesome..Too bad he comes in too late and stays for too few scenes. His name is Shaam, not Shyam. His original name is Shamshuddin. this movie is just awesome. my favorite telugu movie. you people that are giving it a 2 are freaks. Surendar Reddy is capable of much much more. What we get instead is what we have now seen in a gazellion movies already. Tollywood needs to really get rid of these 'time pass' movies. Apart from Brahmanandam , there is nothing worth mentioning in the movie. Terrible music!! Thanks to Thaman, not even a single lyric is audible. Story is dragged all along testing your patience. A good for nothing damsel as heroine, Wasted superficial Prakash Raj, Unused Mukesh Rishi. 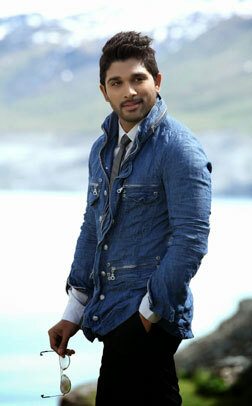 Even Allu Arjun who did seem a promising actor irritated in this movie using the word "Devuda" dozen times or more. + points : Kick Shyam, Posani, Ravi Kishen, Brahmanandam. P.S: I bought a ticket in black on the first day and was wondering why I didnt eat a Biryani or Shawarma instead. fullhyd.com has 700,000+ monthly visits. Tell Hyderabad what you feel about Race Gurram!